Fitted furniture is a great asset to any home, so we’d like you to get the best both before and after you have your furniture installed. If you are proposing to have fitted carpets in the room with your furniture, we recommend having the carpet fitted after the furniture has been installed. This way the furniture is fixed directly to the floor of the room instead of onto the carpet. However, all is not lost if you decide to have newly built in furniture, but you’re not replacing your carpet, or if it has already been laid beforehand. 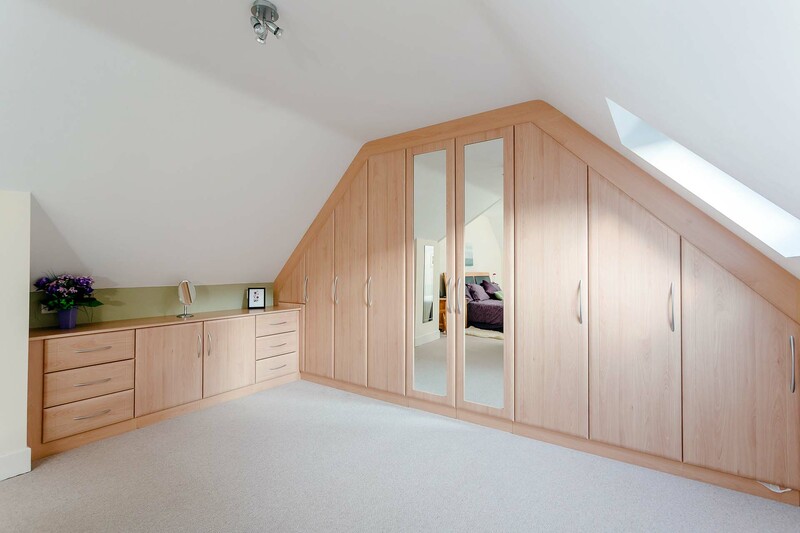 Fitted furniture can be built onto existing carpets. We always recommend you decorate the room before your furniture is fitted. In most cases the walls of your room will form the internal part of the fitted furniture. So by painting beforehand it makes this job a whole lot easier without the furniture in the way. This way there will be no need to mask the furniture to avoid getting paint on it. However, as fitted furniture is fitted tight to the walls (what is referred to as scribed), then sometimes the newly painted walls can be marked. If this is the case, then a simple touch-up will be necessary. If you are decorating the room with wall paper, we would recommend that this is put up after the furniture is installed. This is just in case when the furniture is installed the wall paper gets marked. However, we would recommend a coat of paid beforehand, especially for the interior of the wardrobes. This way the job is made so much easier. Once your furniture has been installed, it should be relatively maintenance free. However, where you have sliding door wardrobes fitted, we recommend that you vacuum the track on a regular basis, in order to avoid the build up of dust. This will ensure you furniture lasts much longer into the future.